Drawing on a top-notch education and substantial experience in both government and the private practice of law with top-rated firms in San Diego, Steve Coopersmith founded his award-winning law firm over a decade ago. Educated at the University of Pennsylvania and the University of California, Hastings College of the Law in San Francisco, Mr. Coopersmith served as a judicial extern for Justice Carl W. Anderson, Presiding Justice, First District Court of Appeal, Division Four, and was the Note Editor for the Hastings Constitutional Law Quarterly. Before entering private practice in early 2000, Mr. Coopersmith was a military prosecutor with the U.S. Army’s Judge Advocate General’s (JAG) Corps, where he held the rank of Captain. While serving as an Army JAG, he was stationed at Fort Lewis, Washington, where he tried felony criminal cases at Courts-Martial and gave legal advice to brigade-level (Colonel) commanders. From early 2000 until founding this Firm, Mr. Coopersmith practiced business and commercial litigation with some of the most well-respected firms in San Diego. 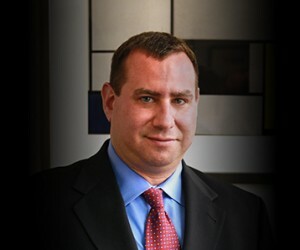 Mr. Coopersmith’s practice is primarily focused on business litigation, including partnership, contract, financial fraud, employment, real estate, and securities disputes. Mr. Coopersmith has received an “AV Pre-Eminent” Peer Review rating from the Martindale Hubbell International Law Directory for each year since 2011, and the Firm is listed in the prestigious Martindale Hubbell Bar Register of Pre-Eminent Lawyers. Mr. Coopersmith was selected three years running as a “Top Attorney” in the area of business litigation by the San Diego Daily Transcript, and was selected in 2017 for the list of the Top 50 Influential Business Leaders in San Diego by the same publication. He has appeared on the San Diego list of Super Lawyers for each year since 2014 and as a “Top Lawyer” in San Diego Magazine for each year since 2013. The Firm has appeared on the Law Firm 500 list of the fastest growing boutique law firms in the United States. Mr. Coopersmith is a member of San Diego Rotary Club 33, and an active participant in the San Diego community. He is a year-round, no-wetsuit open water swimmer, and has completed five overnight Catalina Channel swim relays. He regularly swims in the La Jolla Cove area and maps out a swim as much as possible when traveling. Mr. Coopersmith plays piano and several woodwind instruments, and was the musical director of the historic Mask & Wig Club during college at the University of Pennsylvania. He has been a member of the California Bar since 1996, and is also a member of the bars of the U.S. District Courts for the Southern, Central, Eastern, and Northern Districts of California, the United States Court of Appeals for the Armed Forces, and the United States Supreme Court.